Vaastav Foundation organized, another grand, National Meet from 14-16th August 2015 in Mumbai. 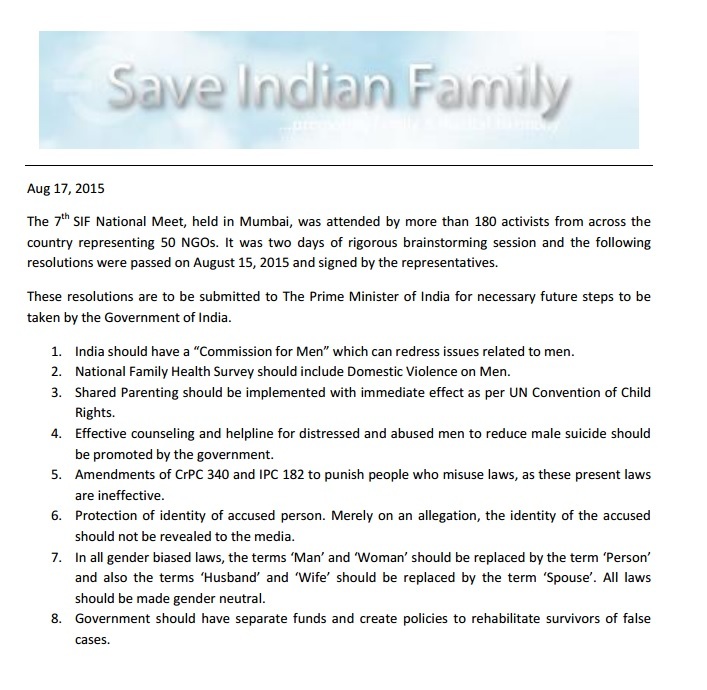 Meet was attended by over 180 activists and thinkers of Men's & Family Rights from across India. Over 30 like minded NGOs participated. In this amazing brainstorming National Meet, these activists "in one voice" passed 8 points resolution. The resolution, which was passed in now uploaded to SIF website and can be shared across all your contacts.